When I started my first company, Kiner Enterprises Inc. back in 2007, I thought that I was creating a business that would take me into my later years of life. I always wanted to experience the lifestyle freedom and financial benefits that come with owning your own business, and I really believed that I found my niche. I also knew that, somewhere down the line, I would get married, and want to start a family. With that in mind, I wanted to build a business that would allow me to have a consistent, passive income, outside of dance, working from home, on my own schedule, and not just trading money for hours. Although my company was very successful, I learned three really important things as a business owner, that lead me to close down the business sooner than I ever thought I would. 1. Owning your own business is a 24/7 job, and is extremely demanding and stressful. I started my own business because I wanted financial freedom, and also freedom of time. 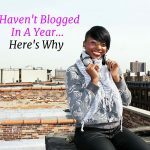 I wanted to have the ability to work from home, or wherever, and create my own schedule. As it turns out, running your own small business, with hundreds of contractors, a project manager, staff, interns, etc., does not lend itself to a lifestyle of freedom of time or financial freedom, especially in the first five years. I soon realized that the stress and demands of running my business were more of a burden than a blessing to me, based on my evolving personal & professional goals. 2. I discovered my true passion along the way. 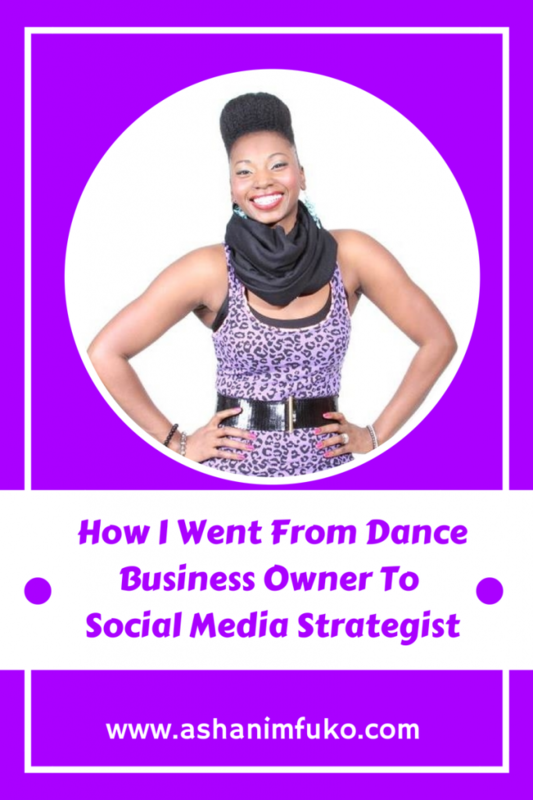 The motivation behind the business was to empower dancers, and solve a problem that existed. I wanted to help dance teachers get jobs, and help dance studio owners find and hire great dance teachers. But really, at the end of the day, I just wanted to help people. I wanted to make their lives better, easier, and help them reach their personal and professional goals, which I did. However, I eventually realized that running my specific business, wasn’t the only way that I could do that. 3. I am REALLY passionate about social media marketing! When you start your own business, and you’re funding it yourself, you are the CEO, the Marketing Director, The Public Relations Manager, and every other person that is required to run your business. Along the way, I discovered that I had a true passion for creating marketing strategies, and specifically had a deep interest in using social media marketing to grow my business. I mean it was perfect! It was free (very important lol), and it had unlimited possibilities for reaching my target audience. I was hooked! 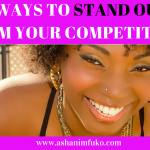 Once I started to experience significant growth and success for my own business through social media marketing, I felt compelled to share what I learned, and what was working for me, with others. 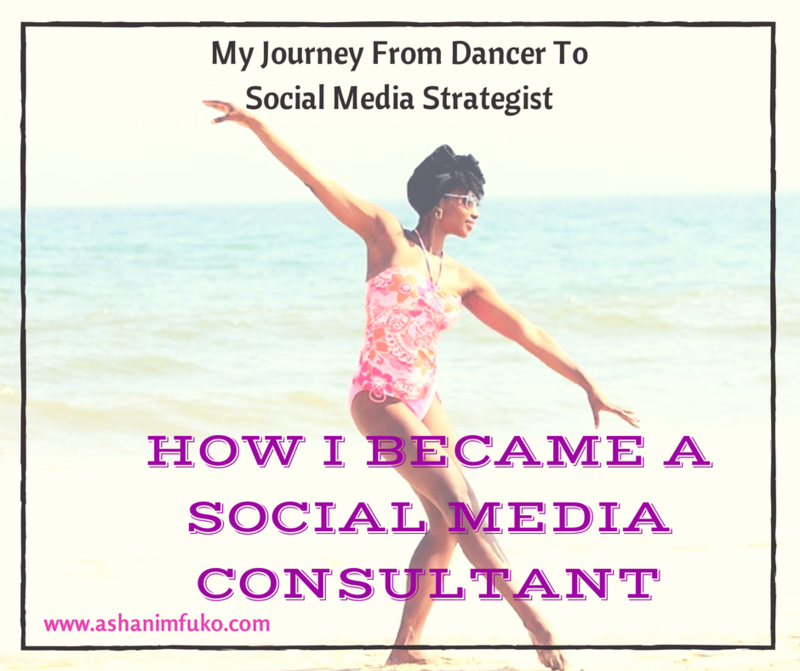 After creating successful social media marketing strategies for several dance studio clients, I decided that I was ready to declare my independence from my dance teacher staffing company, and shift to working as a professional social media consultant for dance businesses and beyond. Now, a few years later, I’m happily married, with a beautiful baby girl, and living the lifestyle that I’d always hoped to be living at this stage of my life: working from home, on my own schedule. Working as a social media consultant allows me to be at home with my baby girl, and still earn an income, on my own terms. 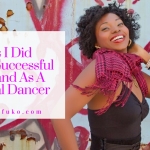 I am still able to pursue my dance passions as well, whether through teaching Jazz classes at The Joffrey Ballet School, through my dance tv show, through writing, blogging, or performing. However, I don’t have all of that additional stress and pressure that comes with owning a business. I called my first business, my “baby”, but I’m happy to now be able to focus on my real baby! It was a long and windy road to get to this place, and I never thought that Kiner Enterprises would be just a memory. But I’m so blessed to be here, and there’s so much more I plan to do in my journey of empowering dancers, and working with passionate small business owners and entrepreneurs! The best part is that I get to have the freedom to be with my daughter, and experience all of her wonderful milestones. She is my top priority. Everything else is really icing on the cake. You may start out on one path, and think you know exactly where it leads, but trust me, God’s plans are so much greater, and better than anything you can imagine! You just have to trust Him, and live your life submitted to His will, and be obedient to where He guides you. Then, you will live life with no regrets, be happy, satisfied, fulfilled, and experience God’s abundant blessings! If you’d like to hear more of the lessons that I learned as a business owner, you should definitely check out, “25 Priceless Lessons I learned As A Business Owner, Plus 1 Hard Truth Everyone Needs To Know”. Have you ever started out with one plan in mind, and ended up somewhere completely unexpected? Share your story with me in the comments below! If this post resonated with you in any way, please share it on your favorite social media sites, and help inspire your friends and family on their journey to living their dream! I am interested in bringing you to Toronto to present a workshop/ seminar to dance teachers and studio owners on social media. The dates are July 26-28. Please let me know if you are available! I am also VERY interested in hiring you to help me build a social media campaign and strategy for my own dance business ASAP! I need a lot of help in this area and feel very overwhelmed by it!! Please let me know what my next step is to get started for this!